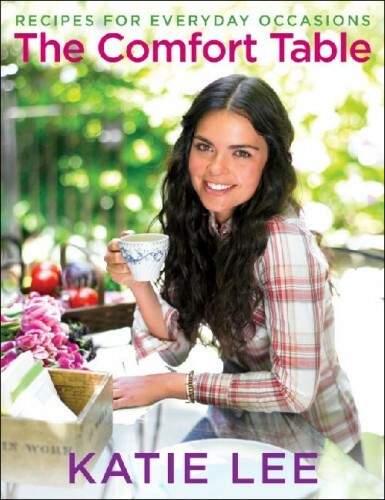 With Thanksgiving just a few days away, I sat down with Katie Lee to get some delicious recipes and talk about her new cookbook The Comfort Table: Recipes for Everyday Occasions. 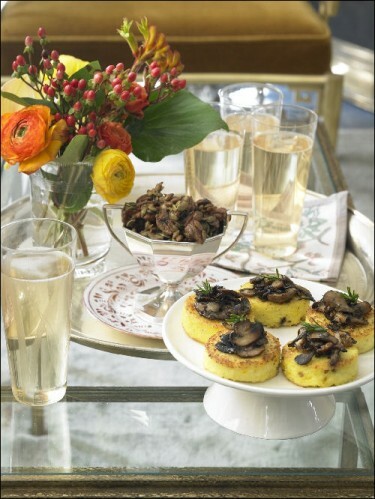 She also clued us in on holiday etiquette and decorum, and cooking delicious meals on a budget. FUSN: You already came out with one cookbook, why did you think you had to come out with another one so soon after? KL: It’s been about a year and a half since my last cookbook and as soon as I finished writing the first one, I started on the second because I really enjoyed doing it and I felt like there was so much more that I wanted to do and so many more recipes that I had left to write that I couldn’t include in the first one so I just kept going with it. FUSN: How is this cookbook different from the first one? KL: This book is divided into chapters by menus. When I went on my first book tour people kept telling me that we love to cook but we don’t really know how to put together a meal, we don’t know what goes with what, and I thought ‘Well, I’ll do that for you.’ So I divided into what I call ‘Everyday Occasions.’ When I first started writing the book I was thinking more celebration based and holidays, but as the economy took more of a turn I thought that more and more people are entertaining at home versus going out to dinner because it’s so much more economical. So the chapters include everything like Sunday supper, Fall harvest dinner, summer barbecue and a romantic dinner for two. It doesn’t have to be some sort of holiday or special occasion to get together with your friends. FUSN: Your book is called The Comfort Table, do you tell people to wear comfortable clothes as well or do they have to get more dressed up? KL: If you put comfort and table together, it spells comfortable. It’s about how you make people feel in your house. Let them feel laid back and have a good time. It’s not just about the food, it’s about creating that warm environment. I might have a chili party where I tell everybody to wear their sweats and we’re just going to hang out. If it’s a cocktail party, I like to get dressed up, so it just depends on the occasion. FUSN: Is there any one recipe that you favor? KL: I love my fried chicken because I love to make fried chicken, I love all of them, but there’s a recipe for the Chinese New Year chapter that’s for these chicken lettuce cups that when I make those I can’t quit eating them. I love my frozen lemon cream pie, it has a graham cracker crust and if you can’t make a pie, you can make this one, it’s the easiest pie ever, you freeze it, and it tastes unbelievably good, especially if it’s hot outside and you pull that out of the freezer, it’s perfect! FUSN: Do you pick up any recipes in your travels and do you tend to westernize them? KL: When I travel I do get inspiration but I want people to make them at home. When I visit my mom in West Virginia, I like to go the grocery store and see what’s available. Living in New York or L.A., we have access to everything, but in other parts of the country, it’s more difficult to find certain ingredients, so I westernize and make it easy for anybody to go to their local grocery store and buy the ingredients. FUSN: You talk about being economical and in your intro you write that you didn’t grow up with a lot of money, but some of these recipes can be expensive to make, so how would you advise people to cook at home on a budget? KL: You have to be a conscious shopper when you go look for ingredients. If a recipe calls for chicken breast, use chicken thighs instead and you save about three dollars a pound on that, so there are lots of little adjustments you can make to save money. Take less expensive cuts of beef and make it taste really good. Instead of making fillet mignon, make a skirt steak, which I think has more flavor anyway, make a great marinade, and you’re going to save up to ten dollars a pound on something like that. FUSN: There are a lot of celebrity cookbooks out now, do you follow any of them? KL: I buy a ton of cookbooks. I love Martha Stewart’s books, I’m definitely a fan of hers and I love The Barefoot Contessa cookbooks, Giada de Laurentis, and Paula Deen, who is a good friend of mine. FUSN: What do you learn from them if anything? KL: I like to see what other people are cooking. I like different styles and I like to look at the photography and food styling. I’m not an Italian cook for instance, so I like to grab Giada’s book if I want to make pasta. FUSN: This is your second cookbook, any plans to do a third. KL: I do want to do a third. I’d like to do something international, I think. FUSN: You live in New York, where you get all the seasons, so would you change the holiday recipes for warmer clients such as Los Angeles? KL: L.A. is a warmer climate, so I would entertain more in line with the temperature. I don’t think anybody wants to eat really heavy food when it’s hot outside. FUSN: So how would you prepare Thanksgiving in L.A.? KL: Well, you still have to have a turkey, you can’t have Thanksgiving without a turkey, but I would try to lighten up the side dishes. Instead of using heavy cream and butter in my mash potatoes, I would try to make those a little lighter. If you heat up milk, it makes your potatoes have more of a creamy consistency, so heat up some reduced fat milk and use that instead of cream. I’d make some nice crisp green beans with sun dried tomatoes and pecans. Instead of a traditional pumpkin pie, do a frozen pumpkin mousse pie. And ice tart apple cider as a cocktail. And I would do a cold soup to start. So if it’s hot outside, you can put it in small glasses with a pretty garnish and people can just pick it up and sip it. FUSN: A lot of cookbooks are about diet or health and fitness, you don’t seem to incorporate those ideas into your recipes? KL: I like butter and cream and I do like fattening ingredients but I just eat them in moderation, don’t eat them three times a day, and when I do splurge I just work out a little bit more the next day. I do have a chapter that’s called ‘Spa Lunch’ and it’s all low fat, vegetarian recipes. I think comfort food doesn’t have to be big fattening gloppy food. I can be just as happy with a big salad. Healthy food isn’t just about eating low fat. It’s also about eating seasonal, organic, local foods. They’re better for your body because you’re getting more vitamins and minerals, it’s better for the environment because it hasn’t traveled so far to get to you, and it’s great for your local economy because you’re supporting local farmers. I try to eat a lot of vegetables and fruits and I try to get them as local to me as possible so it’s not a great distance that my food’s traveled. FUSN: If you’re entertaining and one of your guests says that they’re diabetic and you didn’t have anything out for them, would you be able to whip up something on the spot? KL: A lot of my friends have different dietary requirements or allergies or they’re vegetarian. I love adapting recipes. I have a friend who has a wheat allergy but really wanted to eat fried chicken, so I made it with rice flower instead and it was delicious. So it’s just about making little changes and to me its fun to have that kind of challenge. FUSN: Do you have a favorite meal? KL: It depends on my mood. In the winter I like making pot roast a lot. I like brazed meat a lot. I like it when it’s falling apart and pot roast is something you can make and feed a lot of people and price per pound on meat like that is a lot cheaper. FUSN: I know the book is about food but do you have any decorating ideas? KL: I love thinking about the table as well as the food that’s going on it. I like to decorate it with items I find at flea markets or yard sales. I shop at yard sales a lot, just little trinkets that are a dollar here and there. You can put together a new table and make it look really good and I usually set the table the night before so it’s one less thing to think about when you’re trying to get Thanksgiving dinner ready. Go out in your backyard, you can use leaves and branches. At the farmer’s market, pick up some gourds and put those on the table. This time of the year decorate with a big bowl of pomegranates and the next day use them for food. I like to multi-purpose. FUSN: How do you decide how many people to invite for different themed parties? KL: If you’re having an intimate dinner party, eight is usually the magic number, at least at my house because once it gets bigger there are different conversations going on, with eight everybody can talk together. But if it’s a cocktail party, I like to have maybe 15-20, so it just really depends on what’s going on. FUSN: As far as etiquette goes, should guests be required to bring anything? KL: In the book, I have ideas for hostess gifts. If you’re going to somebody’s house, I think its always nice to bring a little something to show that you thought of them. Like the pickled vegetables, you can jar those and bring it to somebody’s house. I also have a recipe for spiced pepitas and pecans. Katie Lee shares two delicious recipes for Thanksgiving that can also be found in her book. These are a delicious homemade version of “bar nuts.” I use pepitas as a nod to the season and pecans for my Southern heritage, but any combination of nuts works. In a small bowl, combine sugar, cinnamon, allspice, cumin, salt, and cayenne. Set aside. In a large bowl, beat the egg whites and water until frothy. Stir in the pepitas and pecans, then add sugar mixture. Toss until nuts are completely coated. Evenly spread nuts on the prepared baking sheet. Bake 20 to 25 minutes, until crispy. Let cool completely. Store in an airtight container. I don’t like to brag, but I really do make an excellent turkey! Herb butter under the skin flavors the bird, and basting with maple syrup and orange juice makes the skin beautifully golden brown—it looks like it’s straight out of a magazine every time. The giblet gravy mellows the subtle heat of the cornbread stuffing and pulls it all together. Make the Herb Butter (below) and Spicy Cornbread. In a medium skillet over medium heat, melt the herb butter. Add the onions and celery and sauté until translucent, stirring occasionally, 10 to 15 minutes. Remove from heat and let cool completely. In a large bowl, combine onions and celery with the cornbread, egg, milk, chicken broth, salt, and pepper. Mix well to combine. Refrigerate until time to stuff the turkey. In a small mixing bowl, combine the butter with the herbs, salt, and pepper. Set aside. Remove neck, giblets, and gizzards from the cavity and reserve for the gravy. Liberally season turkey all over with salt and pepper, including inside the cavity. Using your fingers, gently lift the skin and rub the remaining herb butter all over the bird under the skin. tightly), and bake the remaining in the prepared baking dish and cover with aluminum foil. 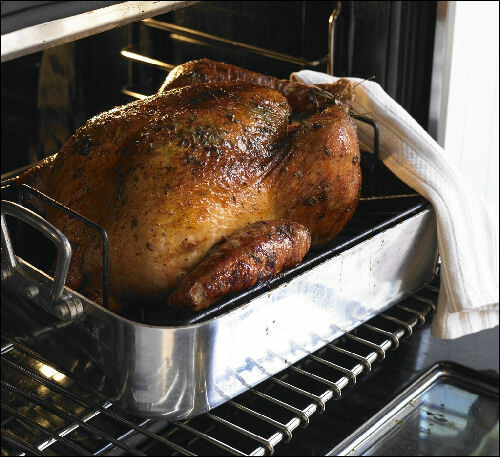 Truss the turkey, place on a rack in a large roasting pan, and put into the oven. In a small saucepan over low heat, combine the maple syrup, chicken broth, orange juice, and bay leaf. Let come to a very low simmer and remove from the heat. Baste the turkey every 30 minutes with this mixture. When the turkey has cooked for about 2 hours, make the gravy. In a medium saucepan over medium high heat, combine the giblets and neck (discard the liver and heart) with the stock, bouillon cube, and bay leaf. Remove from the heat and strain. Return to the pan and bring to a boil. In a small bowl, combine flour and 1/2 cup water. Whisk vigorously into boiling stock. Reduce heat to a simmer and cook an additional 3 to 4 minutes, stirring constantly, until mixture thickens. Keep warm and serve with turkey. The turkey will take about 3 to 3.5 hours to cook, 15 to 20 minutes per pound. The turkey is done when a meat thermometer reaches 170°F in the meatiest part of the thigh and the juices run clear. If the breast or legs look as if they are cooking too rapidly, tent with foil. When the turkey is done, remove it from the oven, tent with foil, and let rest 20 minutes. Transfer the turkey to a cutting board and carve. Serve with the stuffing and gravy. where is the recipe for spicy cornbread? It was said to be on this page and is not.